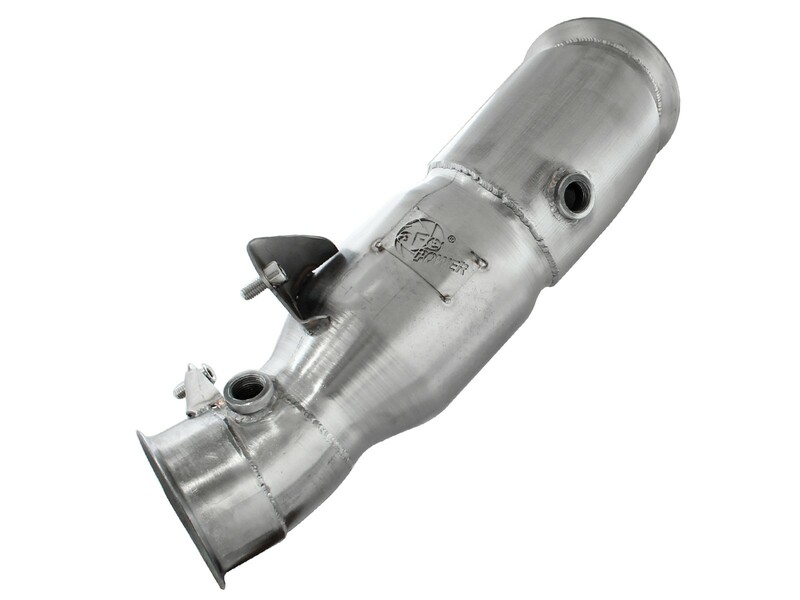 aFe is proud to introduce the aFe Twisted Steel Down-Pipe with a 400 CPSI high-flow catalytic converter for the 2012-2013 BMW 335i (F30) with the L6-3.0L (N55) engine. 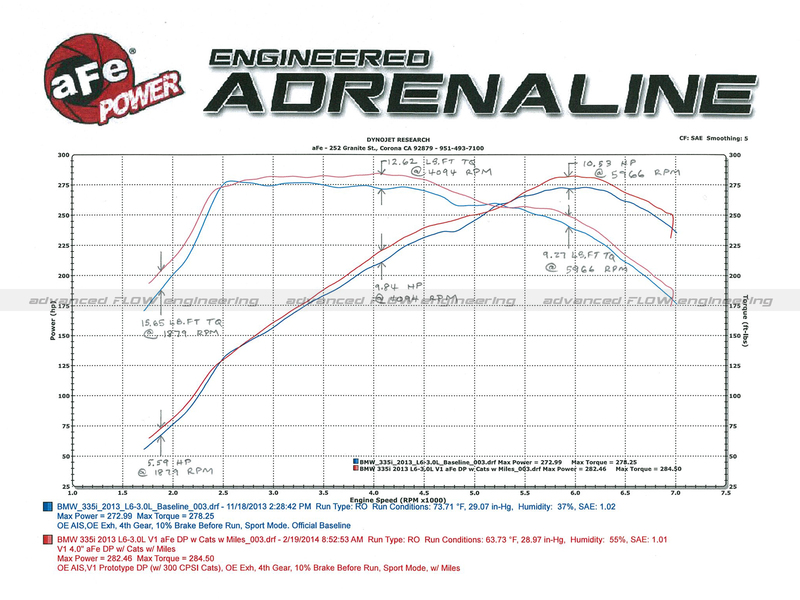 In testing this system resulted in a max gain of 10 horsepower and 16 lbs. 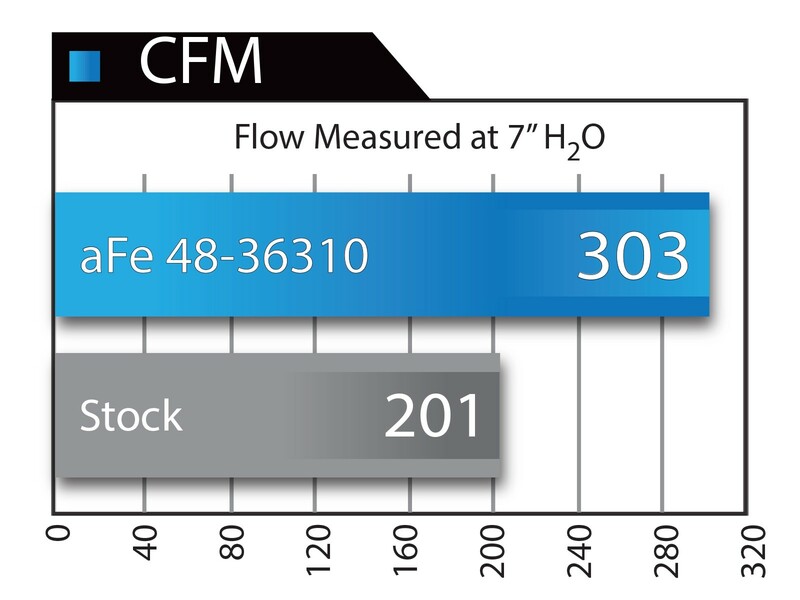 x ft. of torque and outflowed the restricted OE catalytic converter by up to 150%. 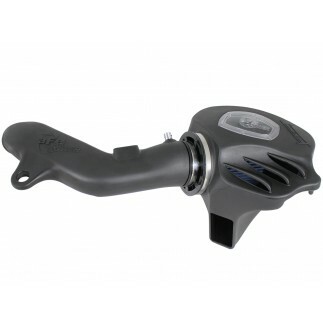 This high performance down-pipe delivers the perfect balance of pure, race-inspired performance, in-cabin driving comfort and the excitement of exhaust sound and tone during normal cruising or aggressive hard throttle. aFe also included a massive, lightweight, 4" diameter, 304 stainless steel tube with a 400 CPSI, high-flow catalytic converter. 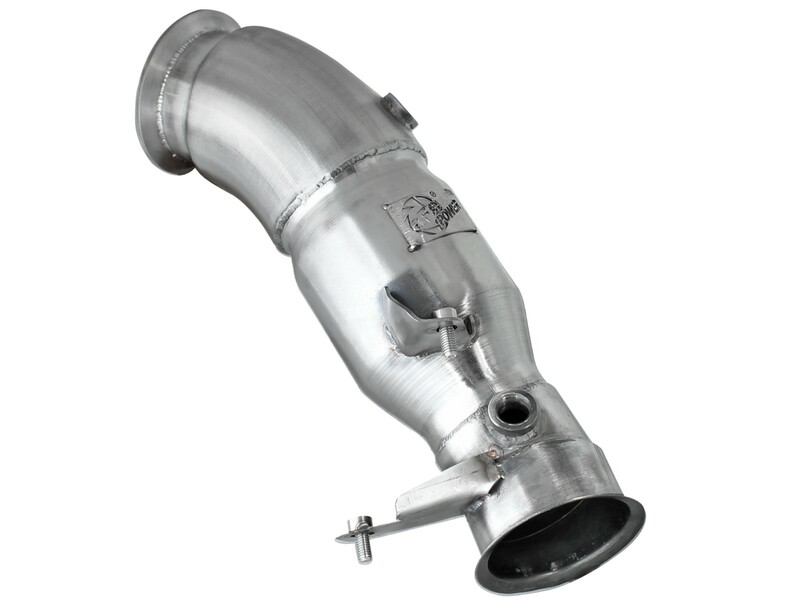 This system uses a 400 cell per square inch (CPSI) stainless steel high-flow catalytic converter designed for maximum flow and performance. 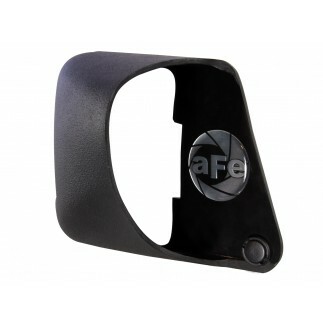 OE style brackets are included for a hassle-free installation. This unit also comes with a lifetime warranty.